Power tools accessories and hand tools distributor | Boomerang Tools Inc.
Boomerang Tools Inc. is a hand tools and power tool accessories distributor. We are also an official licensee of the National Hockey League® and of the Canadian Football League® for the distribution of hand and power tools accessories. Our Coast-to-Coast Sales Force representatives will drop by your store on a regular basis to pick-up your orders. Our main concern is to offer you the best products at competitive prices and to develop a strong partnership to ensure a top of the line service to meet your needs. 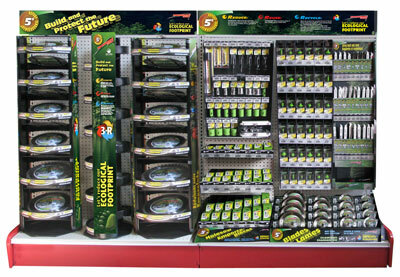 Contact our Customer Service to learn about our wide range of ecological products.